The Capital of Christmas chose a paper city to promote its winter festivities! 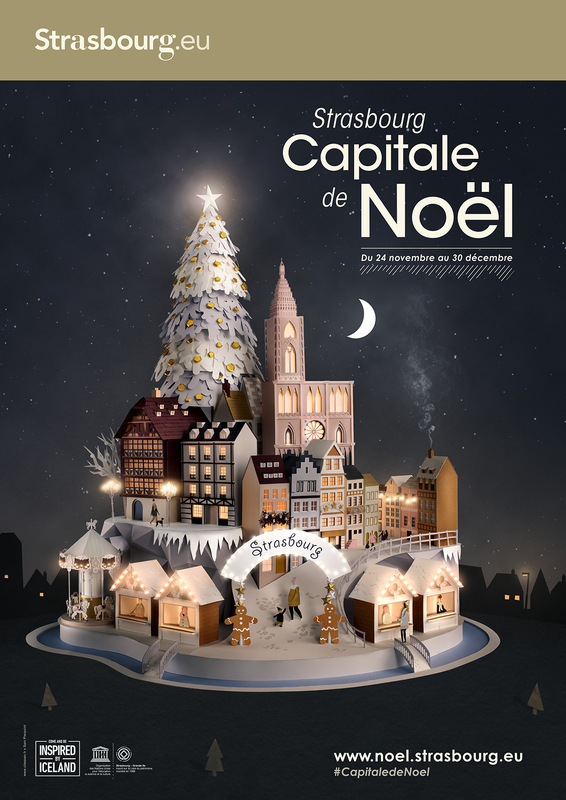 I was commissioned by Citeasen to produce a paper city of Strasbourg for The City of Strasbourg‘s 2017 Christmas Market Campaign. The Christkindelsmärik is the oldest Christmas market in France, dating back to 1570 so it’s no surprise that Strasbourg considers itself the capital of Christmas! Every year the city is transformed with beautiful decorations, twinkly lights and a huge centre piece Christmas tree which sits in the market square. Citeasen asked me to try and recreate the magic in paper form bringing to life the Christmas symbols of Strasbourg’s market in a tangible form (to include: cathedral, large Christmas tree, Maison Kammerzell, merry go round, half-timbered houses and lit up chalets). They wanted me to capture the atmosphere of the typically decorated historical streets. The 1.6 metre by 1.6 metre sculpture was used in its physical form for a window display in the Tourist Information Centre, situated in the centre of Strasbourg. The final photographed and retouched image was used in magazines and newspapers and on billboards, social media and the City of Strasbourg’s website. We decided to go with a night time theme with a warm white and pastel colour palette using G.F Smith papers. LED lights were carefully threaded throughout to re-create the ambiance of the city at night. The unveiling generated significant press interest, helping to launch a successful campaign promoting Strasbourg as an exciting and magical Christmas destination for 2017. 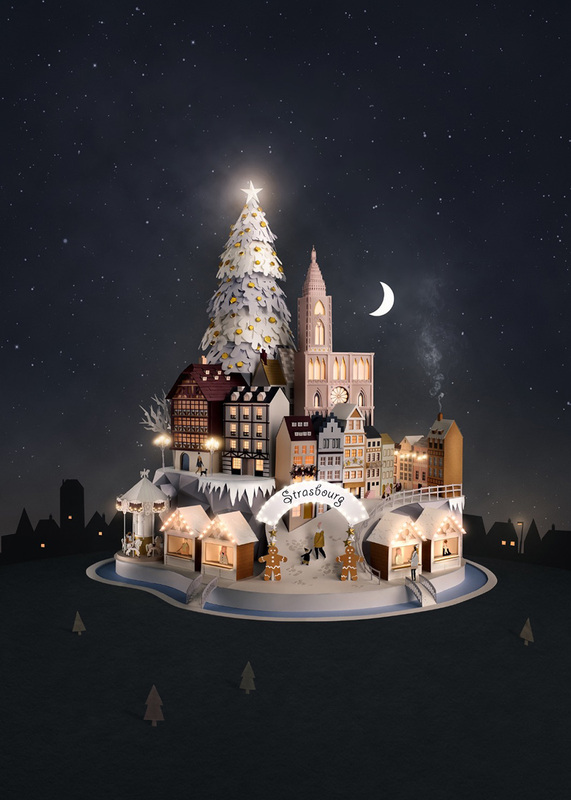 Making-of – Strasbourg Capitale De Noel Christmas Campaign from Sam Pierpoint on Vimeo.